Reader had three tackles, two sacks and three quarterback hits in Sunday's 27-20 loss to the Patriots in Week 1. Analysis: A nose tackle by trade, Reader made both of his sacks after bouncing outside to end when Christian Covington left the game with a thigh injury. He equaled the number of sacks posted over his first two years in the league. Reader is turning heads at training camp, Houston Sports Radio 610 reports. Analysis: Reader seems to be fully past the sprained knee that prevented him from playing in the final two games of last season. Entering his third year in the league, Reader is locked into the starting nose tackle role and poised to improve upon the impressive start to his career in 2018. In 30 games over the past two seasons, the Clemson product has started 21 games and racked up 69 tackles and two sacks. 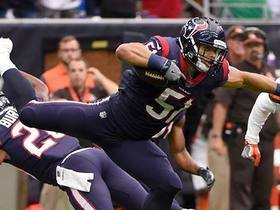 Reader feels he should return "pretty soon" from a sprained knee, Aaron Wilson of the Houston Chronicle reports. Analysis: Reader avoided a major knee injury late in the season, but was forced to injured reserve for the final two games of the regular season. As the replacement for five-time Pro Bowl nose tackle Vince Wilfork, Reader started 14 games and recorded 47 tackles with one sack. He should be ready by the time May's offseason program begins. 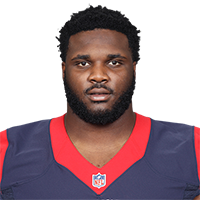 The Texans placed Reader on injured reserve Tuesday due to a sprained knee, Aaron Wilson of the Houston Chronicle reports. 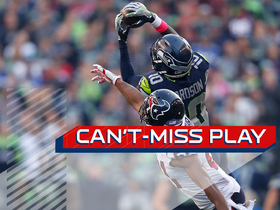 Analysis: It wasn't originally known why Reader was shut down for the Texans' final two contests, but Wilson's report provides clarity on the situation. 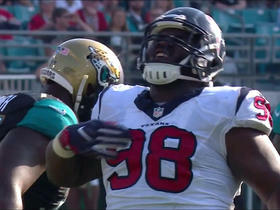 Reader won't require surgery to address the injury and should be a full participant in the Texans' offseason program. Reader (undisclosed) landed on injured reserve Tuesday, Sarah Barshop of ESPN.com reports. Analysis: Reader presumably suffered an undisclosed injury in Sunday's loss to the Jaguars. He finished the contest with two solo tackles. He will now look to recover in time for a healthy start to the 2018 season. 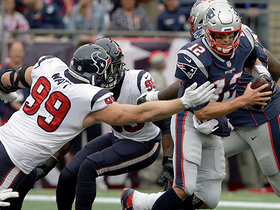 Houston Texans defensive end J.J. Watt gets a great get off and races around his man to help sack New England Patriots quarterback Tom Brady. 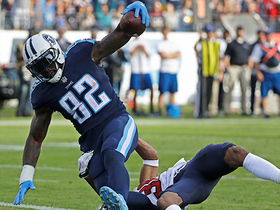 Tennessee Titans quarterback Marcus Mariota finds tight end Delanie Walker for a 24-yard touchdown. Seattle Seahawks quarterback Russell Wilson finds wide receiver Paul Richardson for 47-yard completion. Jacksonville Jaguars running back Leonard Fournette cuts through defenders for 6 yards.